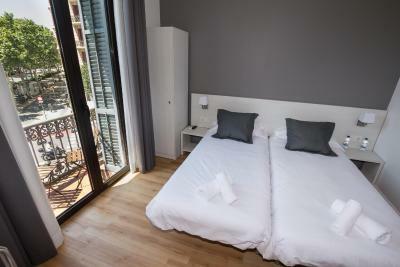 Lock in a great price for Hostalin Barcelona Gran Via – rated 8.7 by recent guests! We had a great stay! 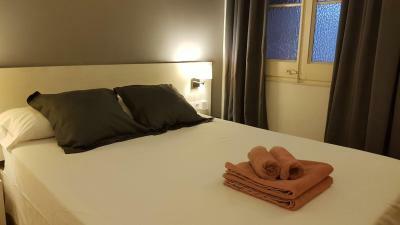 The room was beautiful and well kept, the bathroom was clean and recently updated, and the hotel provided usb ports and adapters in the room. 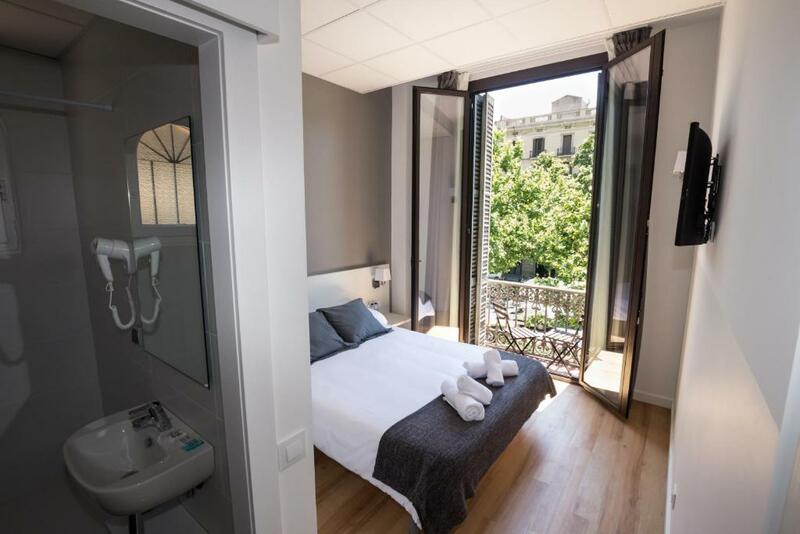 Overall, I'd highly recommend this property to anyone interested in visiting barcelona. We will definitely be back! 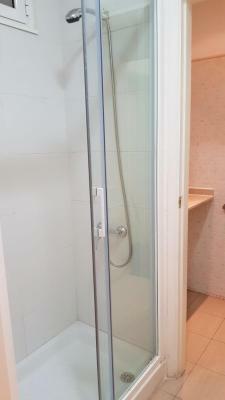 Great location, metro station nearby. 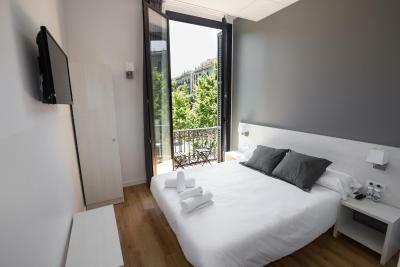 Comfortable room with good view from balcony. 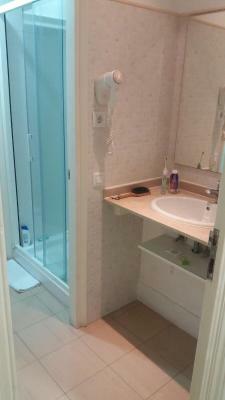 The room was comfortable and clean. The manager went out of his way to make sure we enjoyed our stay. 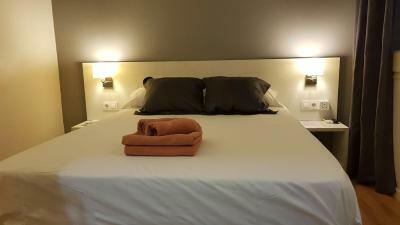 The bed was comfortable, the bathroom was modern and clean, and the location was superb. 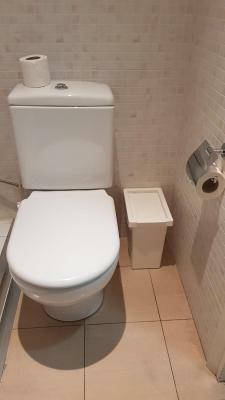 Excellent location! 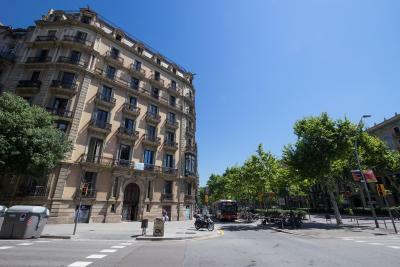 Eixample was our favorite neighborhood in Barcelona. Hotel staff were very nice and helpful. 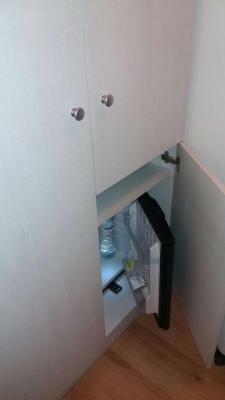 They have coffee maker, fridge, water, microwave etc. Location wasn't too loud. Staff can't really speak English but tried hard to communicate with us. The stuff were great and very kind. My daughter liked them. I really enjoyed Barcelona during my stay. We arrived pretty early and the room wasn't ready unfortunately, but we went to get a bite to eat and by the time that we got back it was ready. It was only like an hour later. The two guys that ran the hostalin were really nice. They gave us a map of the city and pretty much told us where to go and what to see. Like mini tour guides. He gave us all the info from the metro to where to eat. We really didn't expect this place to be as nice as it was but it definitely surprised us. 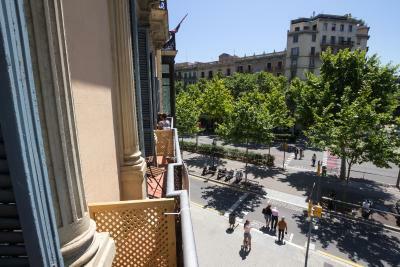 We have a balcony and a view of the Gran Via street. It was close to food and the train station was just one street away. It wasn't in a very touristy area which we liked it was more calm. Made us feel like locals! Would definitely recommend. The location was great. Lots of restaurants and transit around. 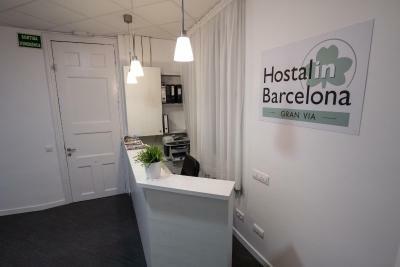 Centrally located, the Hostalin Barcelona Gran Via features a 24-hour front desk, free luggage storage and soundproof rooms with free Wi-Fi. 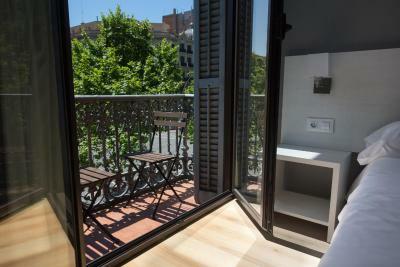 Passeig de Gracia is less than half a mile away and some rooms have a balcony. 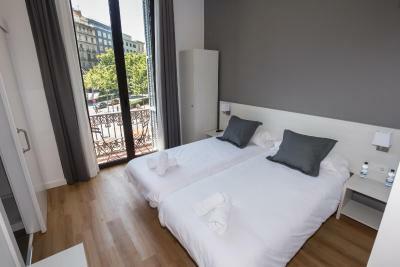 Fitted with hardwood floors, all the air-conditioned rooms include a flat-screen TV. 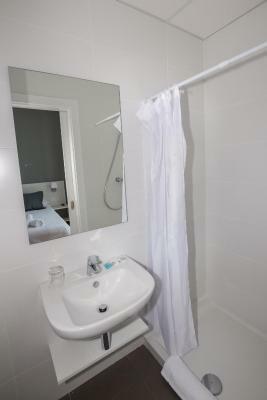 The rooms have a private bathroom with a shower, hairdryer and hair straightener. 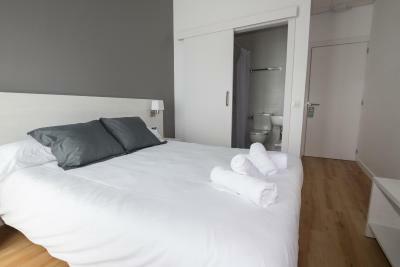 Bed linens and towels are also provided. There is a plenty of bars, restaurants, shops and outlet open until late In the surrounding area. You can also find fresh produce at La Concepción Market, just over a quarter mile away. 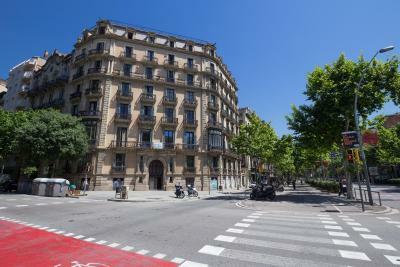 In the Eixample District, the Hostalin Barcelona Gran Via is well served by public transports. There are 2 different metro stations, with different lines, 800 feet from the guesthouse. Barcelona North Bus Station connected to Girona Costa Brava Airport is a 10-minute walk away. 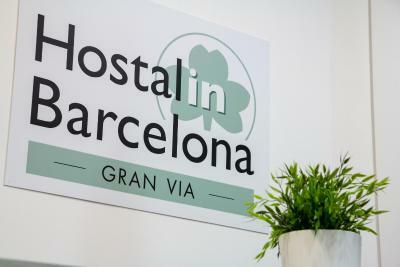 When would you like to stay at Hostalin Barcelona Gran Via? 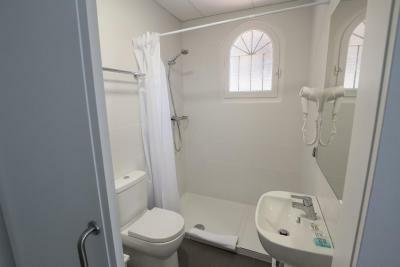 Featuring a balcony with street views, this soundproof room has a private bathroom with a shower, hairdryer and free toiletries. 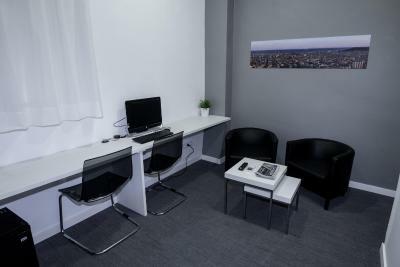 This soundproof room features a lounge area with desk, sofa bed and safe. 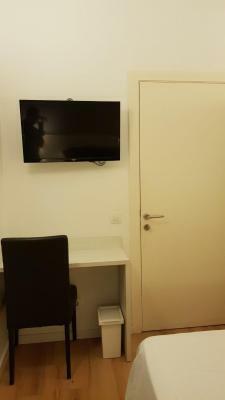 There is also a minibar, a coffee maker and a computer with free internet access. 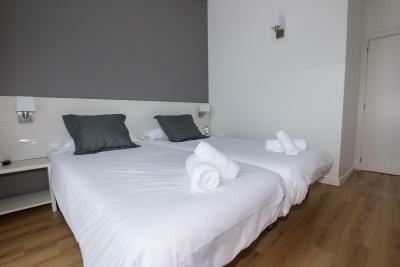 Superior rooms have a double bed and a private bathroom with a shower, hairdryer and free toiletries. it is perfect as it is close to everything, but yet a bit away from the center stress. 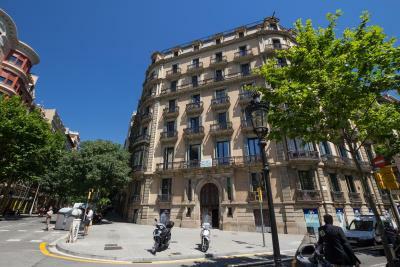 House Rules Hostalin Barcelona Gran Via takes special requests – add in the next step! 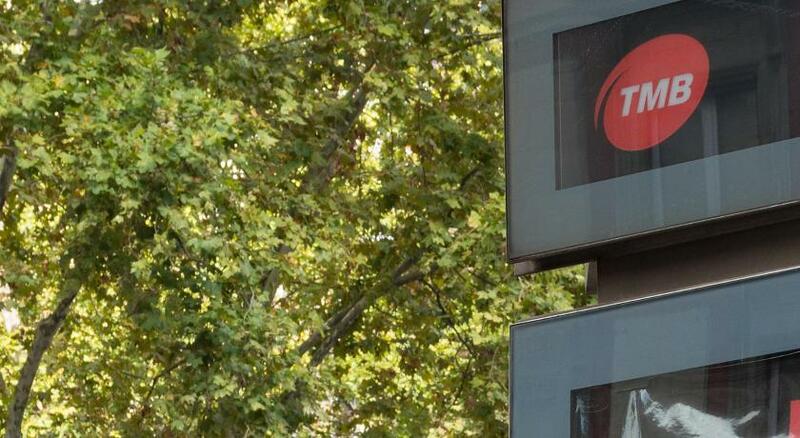 Hostalin Barcelona Gran Via accepts these cards and reserves the right to temporarily hold an amount prior to arrival. I am very happy to live there for one night. 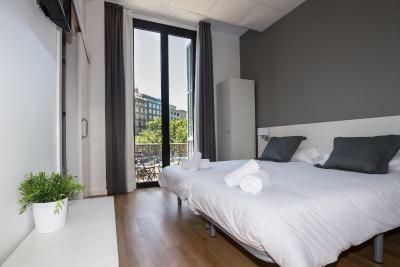 The room is very clean and big with a nice balcony. The landlord is very friendly and hospitable. 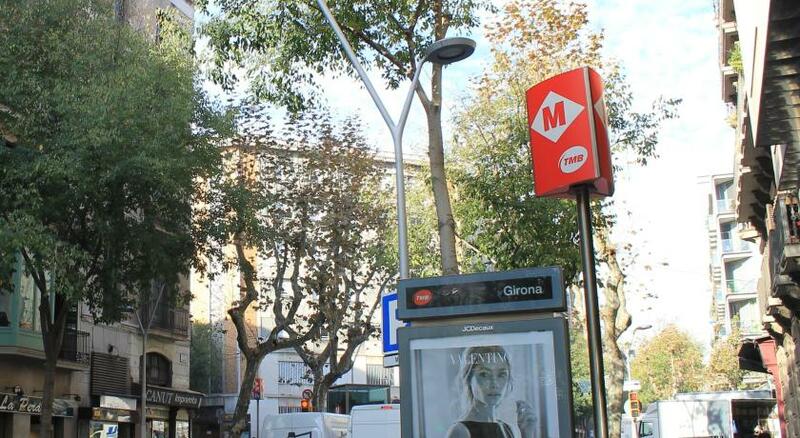 there is a bus station in front of the hostel, also a Metro station that is not far away. 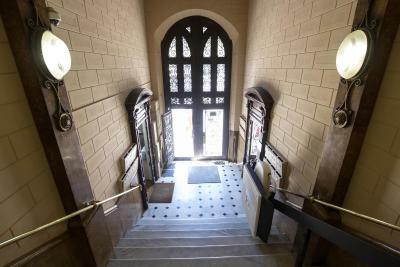 Moreover, it's located in the downtown and you can go to almost all the important viewpoints within ten minutes on foot. It's a Good choice to live here and I will choice this place again in the future if I go to Bacelrona. 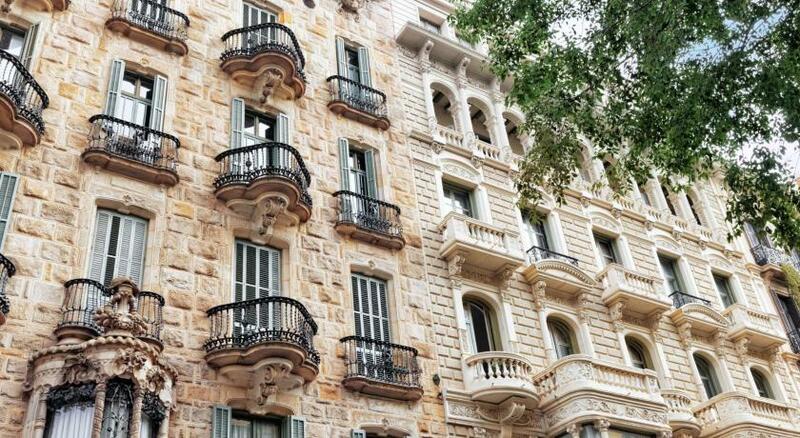 Building is old like most Barcelona's buildings so it is not indoor soundproof. Noise from outside though does not come through which is good. 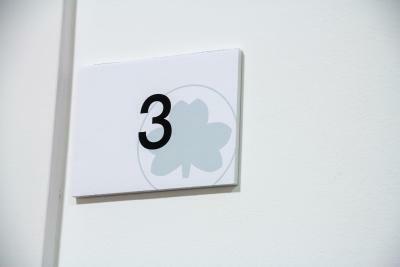 In case you need a refrigerator, room does not have one, but there is one that rooms can share. 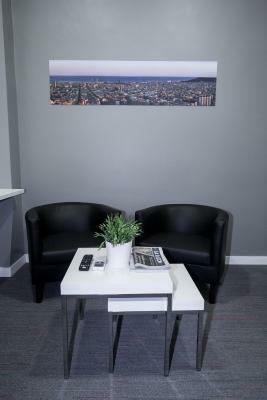 Room provides what is needed and pictures represent exactly what to expect. 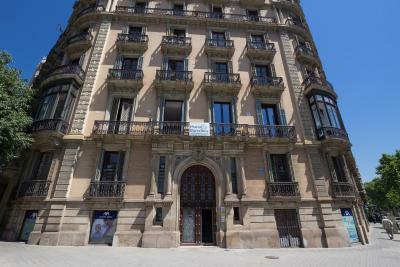 Location is very good, within walking distance you are in the hot spots of Barcelona and bus/metro stations. 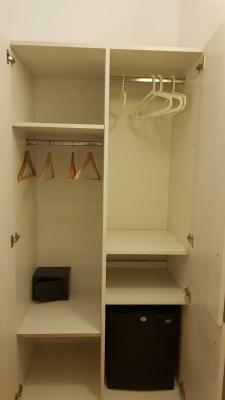 Room is cleaned every day (unless you ask otherwise). Limited facilities.Reception a bit hidden away with no signs as to where it was! 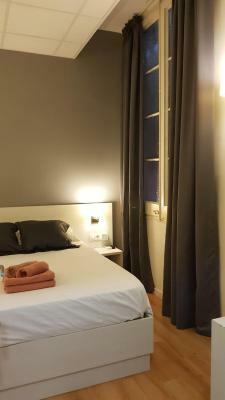 Staff were extra helpful, location within 10/15 mins of gothic quarter and sagrada familia. 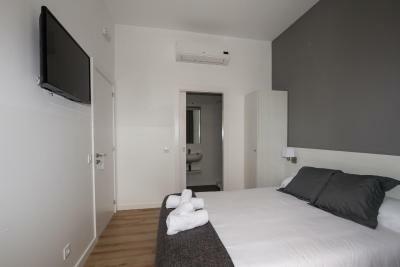 Very clean room and overall lovely place to stay. Walls ar thin , if you are not a tight sleeper you will probably hear every action and conversation in the hallway. This is one of the best budget places to stay while exploring Barcelona. 2nd time here, not disapointed. Clean room with everything you need to sleepover. Staff is great and you can get any information on request at reception, even hire an electrical scooter. 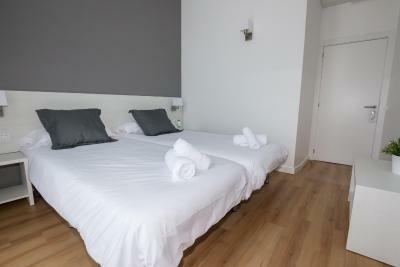 The hosts were great, the room was very clean (everyday cleaning included). The location was fantastic, with all the nicest reataurants and places to see nearby. We got the key so didnt need to go trough the reception each time leaving/coming back. 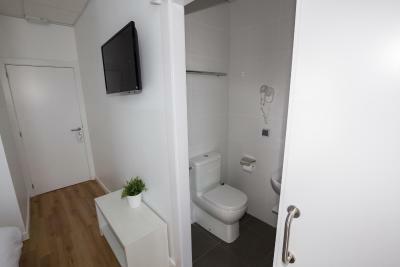 There is access for all guests to microwave, boiler, coffee machine, tea etc. free of charge. Shops are nearby. We had a small balcony where we could enjoy the view on vivid street. All perfect, I definitely recommend. You can hear the noise from the corridor and neighboring rooms. Simple and clean. Comfortable pillows and bed. Great location! Perfect location. 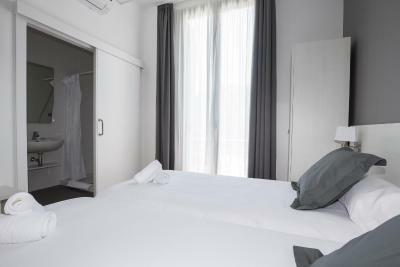 Clean, quiet and comfortable room. Highly recommended. 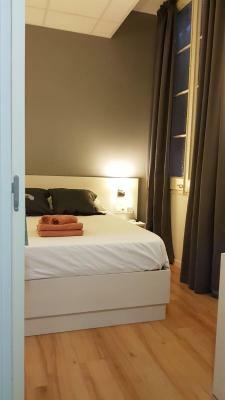 It was perfect - nice and cozy room, good coffee and nice small kitchen to share. Recommend it!